Kon'nichiwa (Hello)! 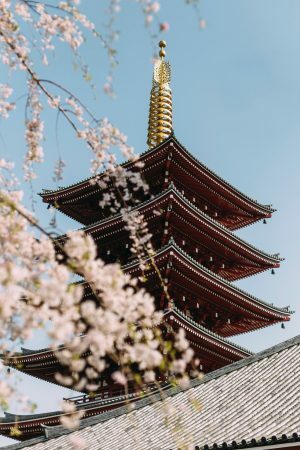 Need a native Japanese voice for your upcoming project? Look no further! We've got vetted, professional Japanese Voice Over artists that'll take your brand to the next level! From TV Commercials, e-learning modules, IVR or PRAM prompts, and every other style or project, we've got the perfect voice for you. We guarantee the audio quality will be of the highest quality and our turnaround time typically ranges between 24-48 hours. We offer post-production services like audio sync to picture, sound effects, soundtrack editing, mixing and more! If you're localizing from another language, you'll be glad to know we offer Japanese translations and subtitling. In addition, our awesome video editor can help with all kinds of video editing needs, from onscreen titling to visual effects. You'll get everything you need under one roof! Please browse our talents below and don't hesitate to contact us for any assistance or suggestions. We're here to help! Born in Japan. Speaks Italian and English. Japanese, the official language of Japan, is the native language of more than 125 million people. A member of the Japonic language family, Japanese has similarities to other Asian languages. The Japanese language is very old. So old in fact, that there is not a written date as to its beginnings. However, there have been writings in Japanese that have been dated back to the third century. In the spoken form, Japanese and Chinese have nothing in common, they are two distinctly different languages. However, in the written form, Japanese uses the Kanji created for Chinese. Kanji are the Chinese letter symbols used to represent words and ideas. Japanese has no official language standing in any country, even though it is Japan's national language. Japanese is also recognized as a minority language in Palau. There are dozens of different Japanese dialects, each based upon the region where the speaker lives. The differences between the dialects can range between subtle or startling. Our experienced, native Japanese voice talents will bring your copy to life! Drop us a line to get your quote today! The voice over for this entertaining promotional video for Silent Partner has been recorded by Voice Crafters in Korean, Mandarin Chinese, Cantonese and Japanese. This Japanese version was recorded by Masashi F.
Masashi is a seasoned Japanese voice over talent who also speaks Italian and English. Visit Masashi’s profile page here.